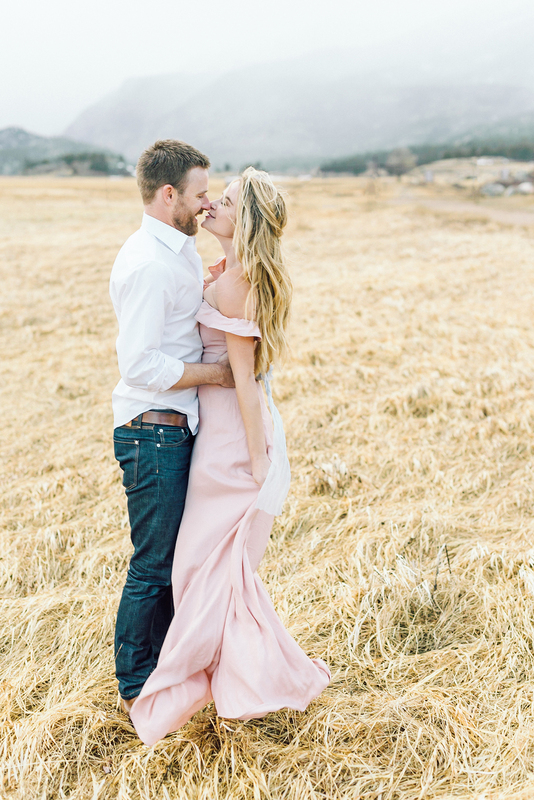 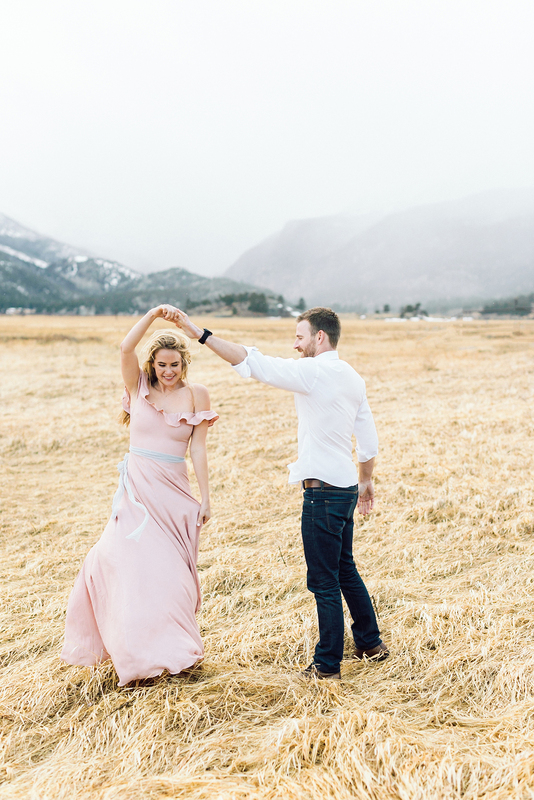 Adventure seekers Haley and Brandon will celebrate their Colorado destination wedding at Cherokee Castle later this summer, so an Estes Park engagement session seemed the most fitting choice to document their love of the area and each other. 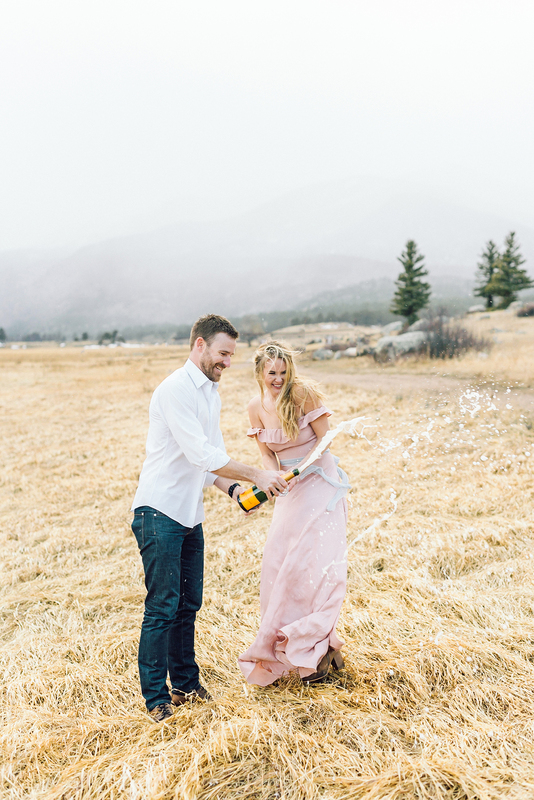 Of course, the surprise flurries of snow that started up as soon as we entered the park were entirely unexpected! 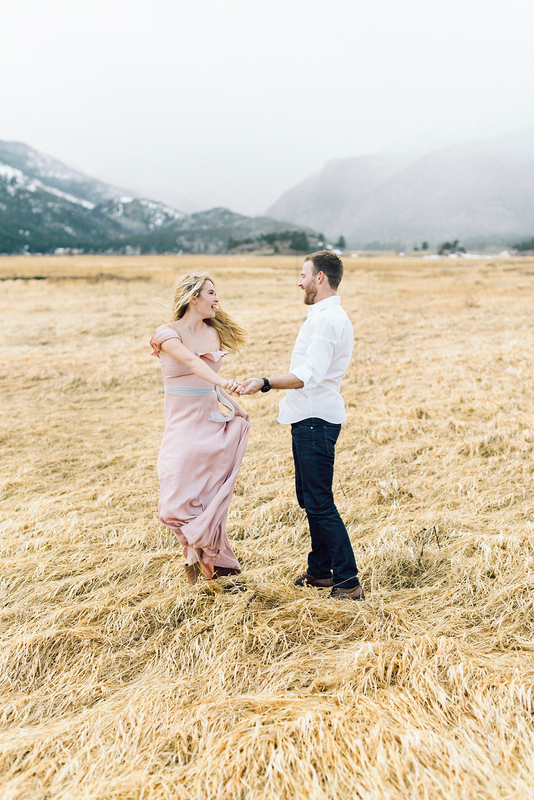 Haley and Brandon took the snow in stride, and the light dusting that quickly covered the ground made their photos even more magical. 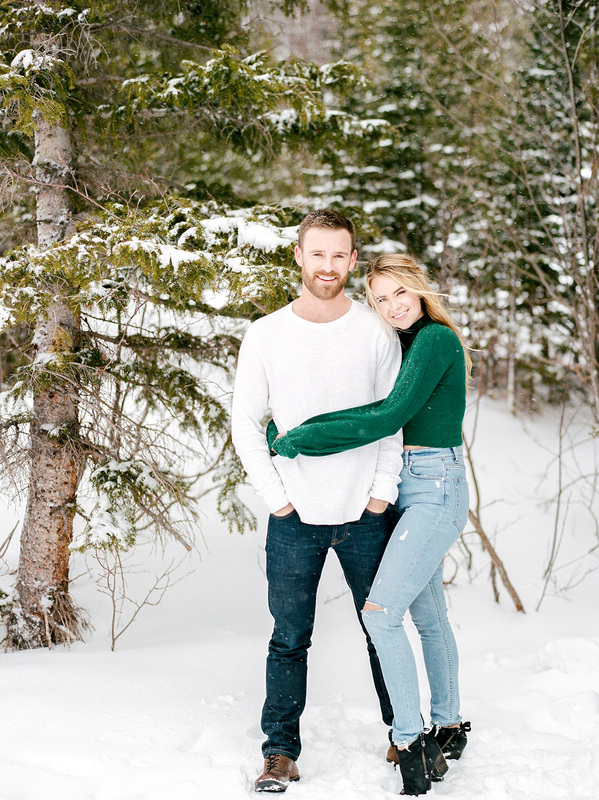 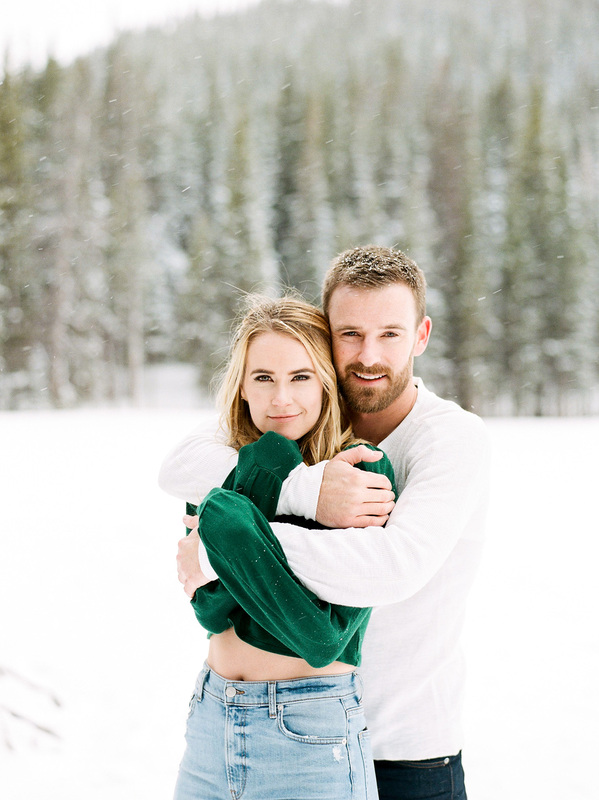 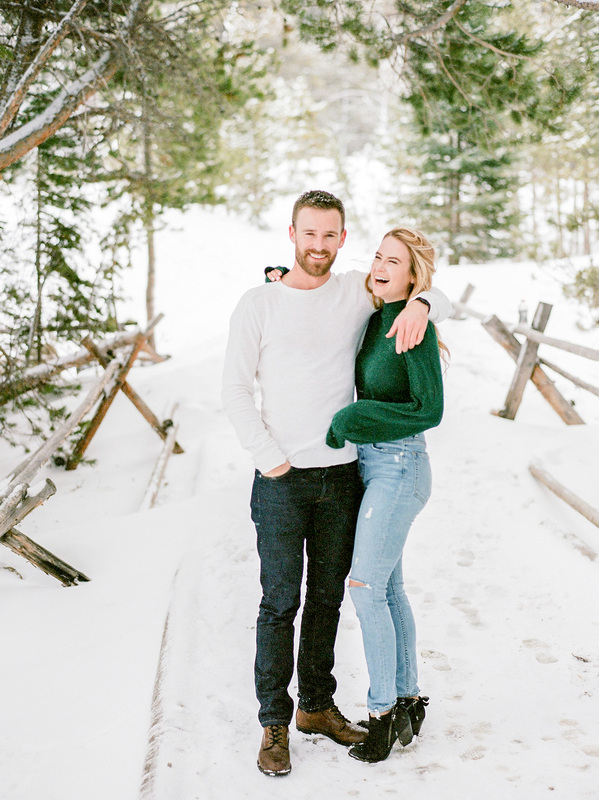 Though their engagement session went a different direction than originally anticipated, the photos are a wonderful expression of the playful unpredictability of Rocky Mountain National Park and the couples’ easygoing, infectious enthusiasm for whatever life throws their way. 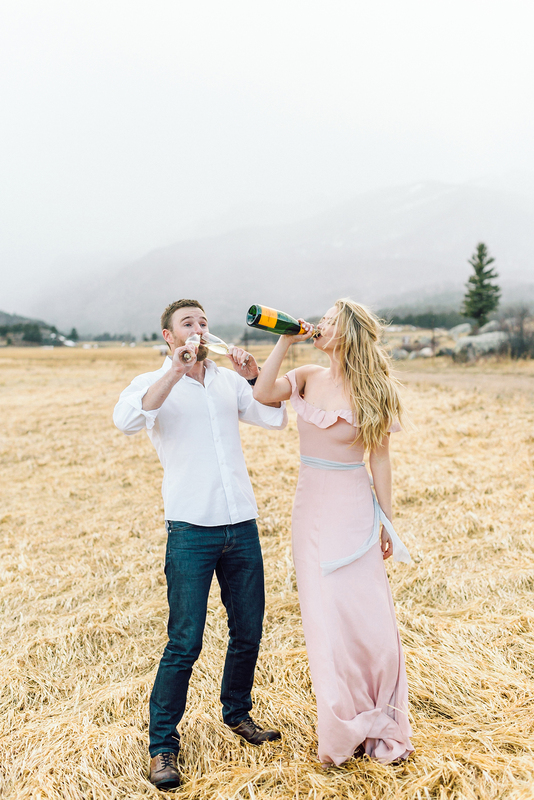 I can’t to photography your wedding!